'One of the hidden geniuses of the twentieth century' Colm Tóibín 'She suddenly leaned toward the mirror and sought the love­liest way to see herself' Lucrécia Neves is vain, unreflective, insolently superficial, almost mute. She may have no inner life at all. As she morphs from small-town girl to worldly wife of a rich man, and her small home town surrenders to the forces of progress, Lucrécia seeks perfection: to be an object, serene, smooth, beyond the burden of words or even thought itself. A book that obsessed its author, The Besieged City is unlike any other work in Lispector's canon: a story of transformation, of what it means to see and to be seen. 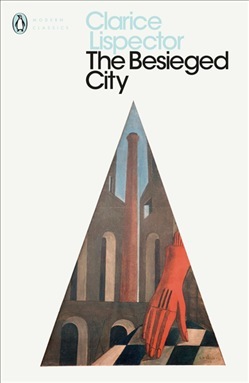 Acquista The Besieged City in Epub: dopo aver letto l’ebook The Besieged City di Clarice Lispector ti invitiamo a lasciarci una Recensione qui sotto: sarà utile agli utenti che non abbiano ancora letto questo libro e che vogliano avere delle opinioni altrui. L’opinione su di un libro è molto soggettiva e per questo leggere eventuali recensioni negative non ci dovrà frenare dall’acquisto, anzi dovrà spingerci ad acquistare il libro in fretta per poter dire la nostra ed eventualmente smentire quanto commentato da altri, contribuendo ad arricchire più possibile i commenti e dare sempre più spunti di confronto al pubblico online.